Boris the police dog was struck by a car and sustained multiple injuries in a chase Friday night. 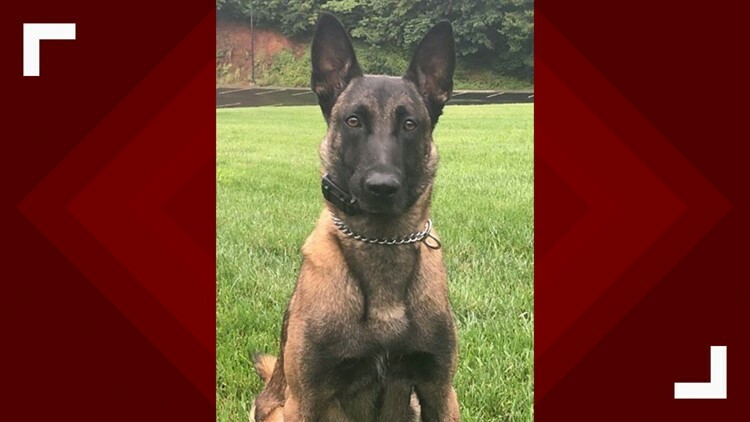 KNOXVILLE, Tennessee — KPD says a K9 injured in pursuit of a robbery suspect will to return to duty today. 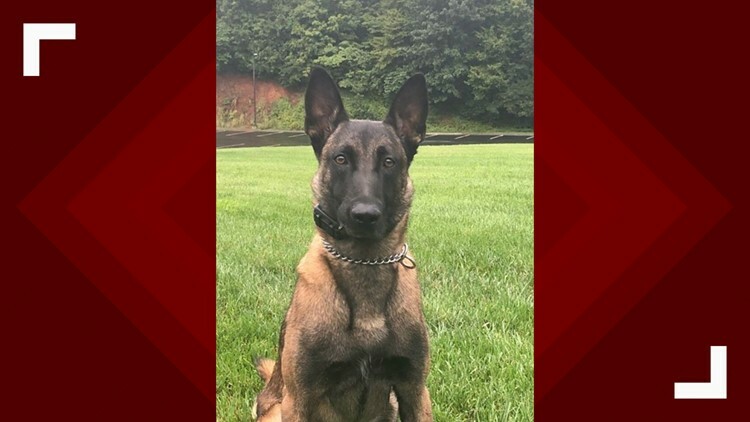 Boris the K9 was hit by a car in pursuit of a suspected robber who pulled a handgun on employees at a Krystal Restaurant Friday night. According to witnesses, the suspect entered the restaurant on Chapman Highway and displayed a handgun. The suspect demanded money from the safe and attempted to fire the gun, but was unsuccessful. Officers arriving on the scene say they engaged the suspect in a foot pursuit behind the Kroger’s and Pilot on Chapman Highway. While fleeing, the suspect dropped the money, his gun, and other personal items. During the pursuit, police say the suspect ran in front of a moving vehicle. The driver attempted to move her vehicle to get out of the way of the pursuing officers. That's when the pursuing K9, Boris, struck the car. Boris hit the side of the vehicle and was knocked back two lanes. Boris was transported to the UT Veterinary Medical Center where he was treated for multiple scratches and bruises. Boris is expected to return to duty today. The suspect was not located. He was described as a light-skinned black male, approximately 20 to 25 years of age with a goatee. He is approximately 5’ 8” tall and weighs from 160 to 170 pounds. He was wearing a gray hooded sweatshirt, black pants, and white shoes.